1813 - Alexander Ross, earliest known white man explored the Similkameen for the Northwest Fur Company. 1846 - Agreement of Boundary Line between U.S.A. and Canada. 1860 - 1872 - Hudson Bay Co. 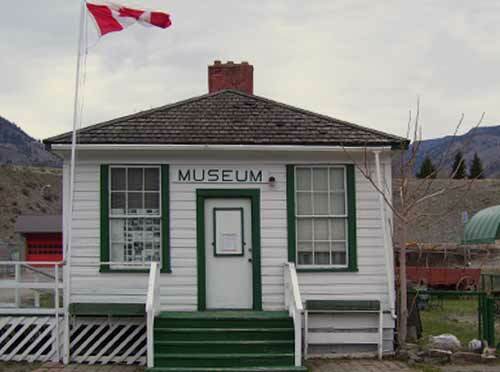 Present in area, in 1865 it moved from Cawston to Keremeos. 1861 - Dewdney Trail was completed. 1865 Richter and Barcelo settled in the area. 1877 - Grist Mill constructed by Barrington Price. 1880 - Richter planted the first fruit trees in the valley. 1883 - Small Pox epidemic. 1886 - Indian Reserves were formed. 1887 - First Post Office, operated at the Tom Daly ranch. 1894 - Flood and the last Potlatch in the area. 1902 - Mr. Welby started stage line from Penticton to Hedley. 1903 - Post Office opened at the Clark Place on Green Mtn. Rd. 1905 - First permanent Constable, Maximilian Et Une Ewart. 1906 - Keremeos Land Company formed. 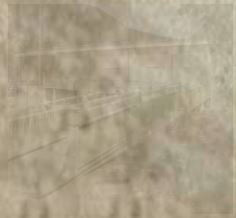 1907 - July 10th, first train (Great Northern) arrived in Keremeos. 1907 - Mid July, Jail Cell built in Keremeos Center, at top of town hill. 1908 - School built on bench, where present Elementary school is situated. 1916 - Cawston was officially named (after R.L. Cawston). 1917 - Jail Cell moved, drawn by horses, down the hill to 6th Ave.
1919 - Famous Cattle Rustling Trail - Jenson Bros.
1920 - First Telephone office in Keremeos. 1926 - First Delco Plant was installed by Len Marsden. 1931 - Present road from Keremeos to Penticton was completed. 1948 - Flood. Hope-Princeton Highway completed. 1950 - Benchland opened up as a soldier's Settlement (V.L.A.). 1951 - High School was completed. 1952 - Packing House burned down. 1956 - Keremeos became incorporated. 1965 - Richter Pass was opened. 1967 - Packing House burned down, again. 1973 - Opening of the Keremeos Museum. 1975 - Diagnostic Center built. 1976 - Mountain View Manor built. 1986 - Senior Citizen Drop-in Center built.